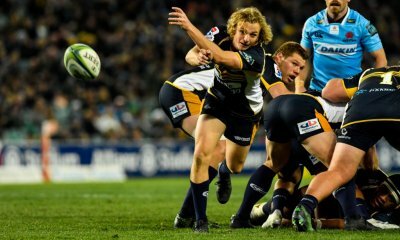 The Brumbies season has received a big boost with a crucial 31-20 win over the Lions in Canberra. On the back of five tries, the home side out muscled their big opponents to allow the backline to score four of the five tries. Tom Wright put a nervous start behind him to score one try and looked dangerous in the second half and joined fellow backs Tevita Kuridrani, Tom Banks and Toni Pulu on the score sheet along with Lachlan McCaffrey, who had a great game before being substituted. It wasn’t the best start for the Brumbies with a yellow card to Tom Wright for a tip tackle in just the fourth minute that put his side under the pump. On the back of numerous penalties, the Lions were able to take advantage of the extra man and Aphiwe Dyanti scored in the left corner. It looked like it could be one of those nights for the home side as Tom Banks kicked a penalty kick to touch dead on their first trip into the Lions end and another attacking lineout was picked off by the Lions. 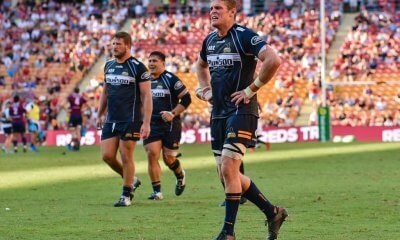 It took until the 20th minute for the Brumbies to trouble the Lions and it was Lachlan McCaffrey, who has been excellent in 2019, who scored the opening try and that seemed to spark the Brumbies attack into life. Malcolm Marx was showing off his ruck burgling prowess to get the lions out of trouble and a penalty goal from Elton Jantjies edged the Lions back in front at 8-7. But the Brumbies scored next to left-winger Toni Pulu who was put into space from a brilliant looping pass from McCaffrey to give Pulu an easy run to the line. 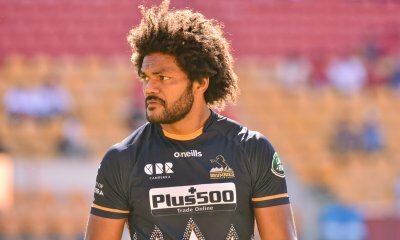 It looked like the Brumbies would hold a slender lead at half time but a turnover in their end was kicked ahead by Folau Fainga’a, of all people, to put the Lions under pressure and the ball was turned over and Tevita Kuridrani ended up with the ball for the third try of the half for a 19-8 lead. The opening period of the second half has been an Achilles heel of the Brumbies in 2019 and it would prove that way again as the Lions were able to score a scrappy try to Elton Jantjies who put on a some filthy footwork to get around Tom Banks. But Banks got one back five minutes later with some front foot ball for the Brumbies allowing some go forward even up against some strong Lions defence but it left them exposed out wide to make it a nine point margin at 24-15. Then it was another try for the home side two minutes later as Tom Wright made up for his earlier yellow card and sliced through the Lions defence on the 22 to give the Brumbies some breathing space at 31-15 with twenty minutes remaining. The Lions worked back into the game with a number of penalties going their way and it was replacement Sylivan Mahuza who scored off the back of an attacking scrum to give them some hope with ten minutes remaining. With the bench cleared, the Brumbies looked close to scoring again to replacement Jahrome Brown after a break down the right wing from Kuridrani but lost the ball in contact near the line but they’d done enough to hang on for the eleven point win and get their season back on track before they head to South Africa on Sunday for a big game against the Stormers. The Brumbies battled to get into the game but after the 20 minute mark they hit the lead and although the Lions closed the gap in the second half they managed to hang on. 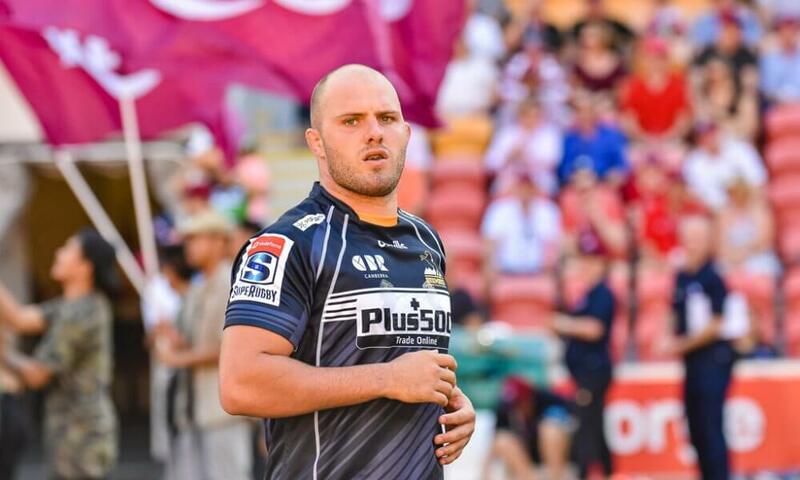 Lachlan McCaffrey – has been the most consistent player for the Brumbies in 2019 and with a try himself and a sweet pass for Pulu’s try. Rory Arnold had a busy night against a big pack and was a pest at the maul. Tom Banks had another strong game and with a possible opening at national level, must be in contention. Tevita Kuridrani looked good in space and even bagged a try himself. I think Folau’s retirement gives us an opportunity to assemble a lighting quick Wallaby back 3. I’m not eating they should both make it, but surely both Pulu and Banks must be in the conversation? Dyantyi showed the danger of pure speed today. We need more back 3 players like him. Really impressed with how quickly you got this up. Thanks mate. Hehehe “retirement” come on Dazza, call it out for what it is a sacking. We now need to move on, select a back three that can defend, kick and run. I would be going with Pulu, Hodge and Banks. If DHP is available then Hodge to the bench as a utility to allow a 6:2 split. The Brumbies have no depth in their backline, but when Wright is playing well and Banks, Pulu, and Kuridrani are fit at the same time they have some penetrating power. The game went as is pretty common with South African teams, bruising in the middle of the pitch but with space to be made in the tram tracks. McCaffrey as MOTM is a good pick but that’s pretty much always been the case and Cheika still doesn’t seem interested. Scott Johnson was there tonight so maybe his input at the selection table will change that.. Watching Wright pass indicated he shouldn’t be playing anywhere inside 13 really, however there is no denying his footwork and pace. Agree with the sentiment re McCaffrey – he won’t get a look in but is exactly the type of player the wallabies could use to balance the back row. I would really like to see Jackson-Hope given a go in a playmaking position at some point this season, even if it’s only in the last 20-30 minutes of a game. Same with Jack Maddocks. I was wondering if anyone would comment on his ugly and slow passing. The league shovel I think. I honestly can’t believe how well Slipper has been playing this year, just haven’t seen him look like this for several seasons. Crazy that the Brumbies have ended up with the two premier LHPs in the country. I don’t want to judge Thorn as I have no idea what was said between the two of them, but it seem very unfair to have cast aside a guy who has obviously had struggles and tried to work through them. Sometimes the year off allows players to get back to 100% physical and mental fitness. Slipper wasn’t the same player after the Achilles rupture but it is a 12 – 18 month turn around on that injury, I have done two (granted I am not a professional level sportsman). Marto (not that I always give much credence to what he says) has also said on multiple occasions that Slipper hadn’t ever fully recovered from his shoulder injury years ago, and so had never been able to do any weights. The time off meant he has a fully functional shoulder, he’s doing weights on that shoulder, he’s put on the 5kg he couldn’t regain, and it’s clearly shown in how he’s scrummaging (as well as being very effective around the park). Thanks for the writeup Steve. How good is McCaff – Scored a try, long looping pass for another, and snatched a turnover which created a third. I think McCaffrey is the most skilful number 8 in Australia (Dempsey his only real comparison there). The main question is whether we would rather go for a number 8 with skill like him, or a number 8 with lots of power like Naisarani? Aus rugby has been obsessed with finding a new ‘power running 8′ since Palu (and really Kefu) retired – but the game has moved on since then. Reality is that your front 5 should be (and in the Aus pack, are) capable of making metres in traffic, and without a linking 8 you are likely to miss a lot of opportunities. What we all know we’re really missing is players with rugby skills – catching, passing and finding space. Hence I have every confidence that Cheika will not pick McCaffrey – Far too obviously a good choice. I think Naisarani is capable of linking, he just doesn’t quite have the ball skills that McCaffrey does. I don’t see Naisarani throwing any cut out passes. Ireland, England, even South Africa opt for power number 8s (although Thor has ball skills too). I think there are arguments for both McCaffrey and Naisarani, and wouldn’t be disappointed with either. My only real disappointment would be if Luke Jones isn’t picked at 6. If I were picking a Wallaby side for the World Cup, and assuming Pocock comes back into the form he showed last year, what do you think of my preferred team? I would also be open to a 6-2 split on the bench, with Naisarani wearing the 23 jersey. Since when did we pick on form? Get your head checked mate….. But seriously, good team. I would personally like to see Naisarani and Phillip in the 23. Can argue on the backs really. I would be picking TK at 13 every day over English though. He seems to step up massively at international level as well. Good shout on Petia for the bench as well. Don’t mind it but no way Pulu has earned a spot yet and am far from convinced on Sefa but he’s probably the best of a suspect bunch. I’d maybe swap Hodge and Banks. I love how Banks injects himself from fullback. Badly stepped by Jantjes last night though. LSL winning me over but I’d still take Phillip first but prob start Arnold. Sio is doing the opposite of winning me over – if there a bloke involved in more collapsed scrums I’d like to know it. Not sure who you’d have though. Kepu too old, Harrys Hoopert and Johnson Holmes not ready quite yet. When are the Smith boys eligible ? Sio is also involved in plenty of scrum victories though, including last night. Rasta was awarding seemingly random penalties last night. Sio has the runs on the board at international level. Pulu and Naivalu is close for me. 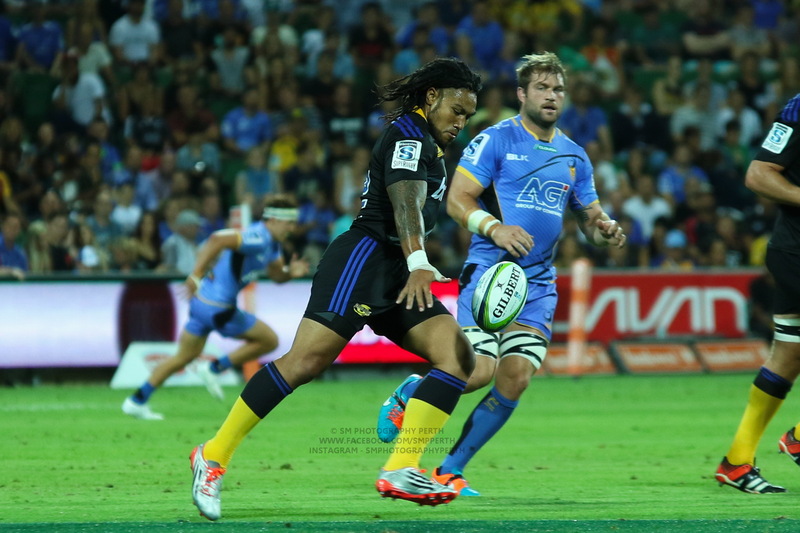 Naivalu is the better defender and has played well for the Wallabies before, but Pulu has impressed me much more over the years and super level and seems to have the footwork and ability to step a man that Naivalu doesn’t. I don’t particularly mind who is picked out of them though. We have an embarrassment of riches with locks at the moment eh? What would your back row be? Jones, Pocock, Naisarani with McCaff off the bench. I’d have either Philip or Salakai Loto also on the bench as a second row/number 6 in an emergency option. Hopper would be there too if running with a 6:2 split. Probably Cottrell and Dempsey in the wider squad but if Higgers or Holloway play well the rest of the season then I’d be happy with them also. I’d agree, but big Isi doesn’t pilfer, and given Hooper’s more effective a bit wider, Hooper/McCaffrey works ok at the breakdown, but doesn’t have the power that Cheika would want. So Pocock/Isi works better than Hooper/Naisarani. Different types of players…McCaffrey is a great link player between the forwards and the backs while Naisarani gives you power and go forward and dents the line. I think power will win out in Test Football. Crusaders have opted for Read despite him not having huge power. You could be right that Lachy might not quite be up for the rigours of the position in test rugby. Skill has usually beaten power though. Some positive signs after a terrible week for Australian rugby. Slipper, Banks and McCaffrey my top 3 for Brums…even though Slipper was off the bench. Tidy performances elsewhere with no real dud games. Could do a lot worse than SK and TK in the centres, Genia and Cooper 9/10 then back 3 really up for grabs. Genia Cooper Sefa SK TK Maddox,Beale. Would have placed Israel on the wing….Let’s see if he can make a public apology and hold his position. No space for Hodge in the back 3? His best games for the Wallabies have been on the wing and he is a very handy replacement for DHP at the Rebels these last couple of games. Of all positions I think the back 3 have the least obvious candidates. – Won’t consider Beale until he’s had a good run at 15; similar with Stewart. – Marika needs to prove he has a more well rounded game. When he has a good game he looks great but more oftehn than not he goes missing. Stormers game a case in point. Did f all and if you don’t have a kicking game as a winger you HAVE to be busting tackles and scoring tries. – Speight needs to start scoring tries again. He’s looked OK this season. Gets involved at the breakdown. Well positioned. Haven’t seen the defensive frailties from previous seasons BUT he isn’t scoring points in open or smashing through players in the tackle. – Pulu needs to string a number of good games together. Some pace and talent but needs a body of work. – Clark and Newsome need to show how they’ll fair in a post Folau world. Probably our two least exciting wingers but also no obvious flaws in their games. – Daugunu needs more game time this season to prove he could mix it at international level. He is our smallest winger by far and at Test level only talents like Shane Williams. Wouldn’t mind seeing Daugunu have a tilt at 7s actually. – ‘utility backs’ in CFS and Rona shouldn’t be out of the conversation either. CFS has been busting tackles and getting over the gainline and Rona has shown he can finish tries at the Tahs. Would need to pick and stick with these guys though to find out. – And as an outside shot I’ll list Naiyaravoro. I know he is the English Premiership and is probably not likely to come back BUT he would have been a lock in pick last year after his Super Rugby form. Genuine x factor and had fixed his defensive positioning. Canberra born and bred Rugby fan brought up on Canberra Kookaburra and ACT Brumbies Rugby.